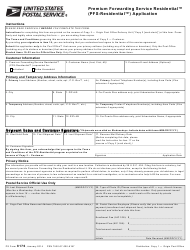 This form was created by the United States Postal Service (USPS) and the National Association of Letter Carriers (NALC) with the purpose of using it for internal disputes. 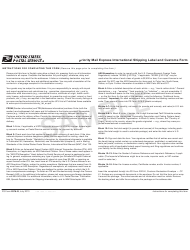 This is a delivery order released by the United States Postal Service (USPS) and used to authorize an agent to receive restricted delivery mail on behalf of an addressed individual or company. 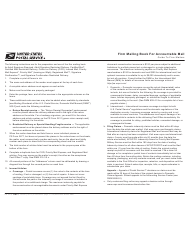 This document is used by the United States Postal Service (USPS) to request a written confirmation of a specific mail piece delivery. 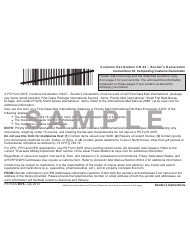 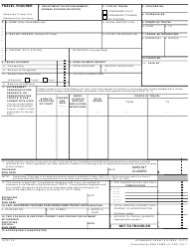 This document is a customs form used by the United States Postal Service (USPS) to describe contents of your package, in order to determine duty fees at the border control. 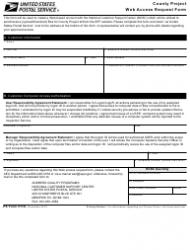 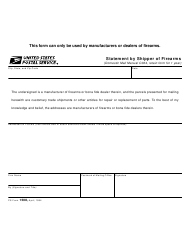 This form - also known as the USPS Firearms Shipping Form - is used to file a statement to signify that a shipment contains handguns or parts and components thereof. 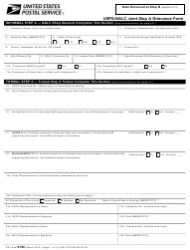 This is a customs form used by the United States Postal Service (USPS) to describe package items to be used at the border control. 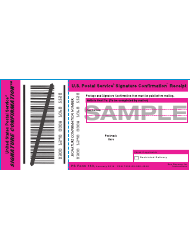 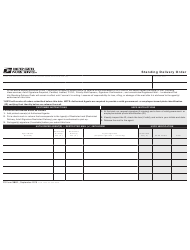 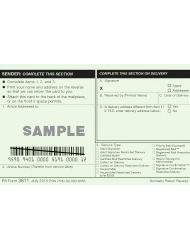 This form is used by the United States Postal Service (USPS) to inform their customers about the delivery in cases when their return receipt was not received. 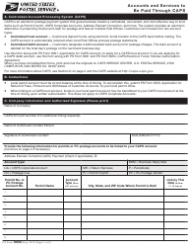 This form is used by the United States Postal Service (USPS) to summarize the contents of your package, as well as the value of these contents. 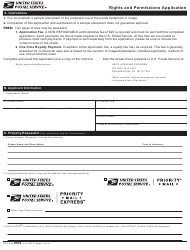 Use this USPS customs form to list your packaged items for the destination country's border control. 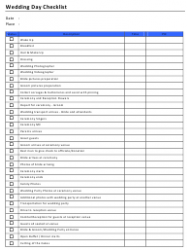 This is a complete wedding planning checklist that allows you to start planning your wedding a year in advance and gives month-by-month instructions on what needs to be done in preparation for the big day. 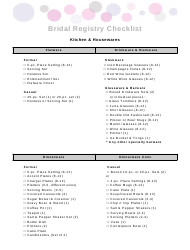 This is a bridal registry checklist template that helps to get organized for a wedding by planning, ordering and sharing a basic list of necessary (or not so necessary) items for your wedding from kitchen items to bedding. 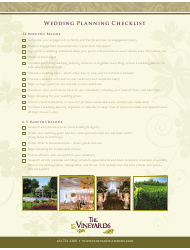 This wedding planning checklist template (by The Vineyards) is yet another version of a 12-month long checklist in a simple format. 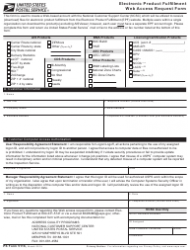 The checklist gets more scrupulous as the big days approaches. 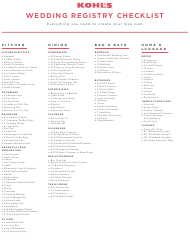 This wedding checklist from Kohl's is a one-page wedding registry list of “Everything you need to create your love nest”. 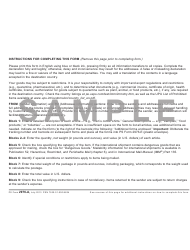 The topics are kitchen, dining, bed and bath, home and luggage. 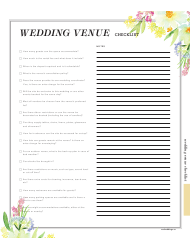 This template - the wedding venue checklist - is only one page long and contains basic do-not-forget questions apropos the big day itself, from the restaurant reservations to the number of silverware. 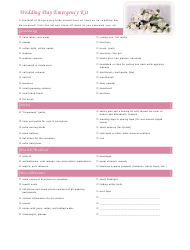 This simple one-page wedding flower checklist from Metropolitan Exchange will assist you with the flower arrangements for your wedding, from the bridal party and corsages to reception and table decorations. 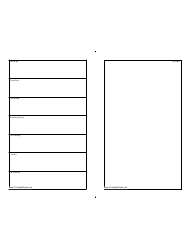 This minimalist weekly planner lists the seven days of the week on the left and provides space for notes on the right. 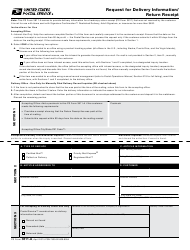 Print the template on both sides of a piece of paper or cardstock and fold in half to create your own DIY planner. 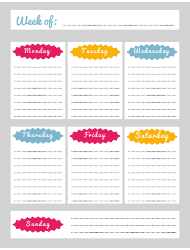 This colorful planner displays one week at a time and can be used in the classroom, at the office or at home. 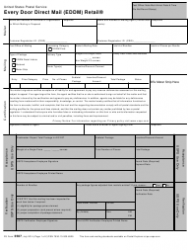 The large boxes provide plenty of writing space for scheduling and to-do's. 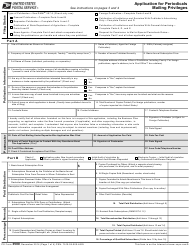 This template helps you plan, track, and execute weekly tasks by organizing your daily affairs and monitoring the big picture at the same time. 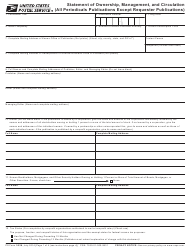 This weekly timetable lets you plan out each day by the hour and provides a handy sample of a filled out schedule on the second page. 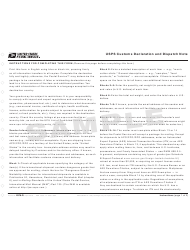 This checklist is a two-pages long table, which begins with a “wake up” checkbox and ends with “Bride and Groom Leave Reception”. 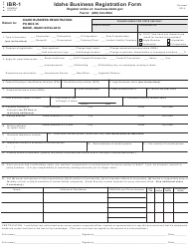 The table contains boxes “Status”, “Description”, “Time” and “PIC”. 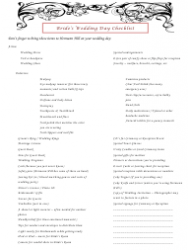 A pretty unusual wedding day "emergency kit" lists ”things every bride should have on hand on her wedding day”. 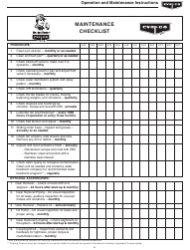 The list can be printed and checked off as you assemble your kit. 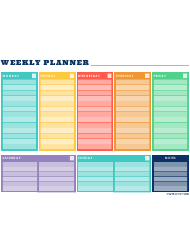 Never miss another Mary Kay meeting or sales appointment with this planner that helps you organize and plan your week at work or at home. 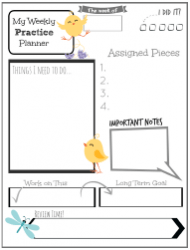 This fun template lets your kids plan out their homework or practice assignments for an entire week ahead. 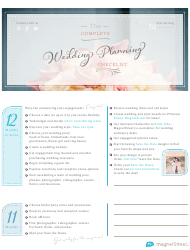 This bride's wedding day template lists items not-to-forget to bring on your wedding day. 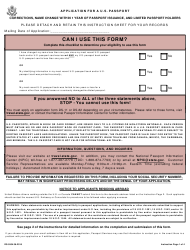 It does not contain checkboxes, but it offers items you would never think of yourself! 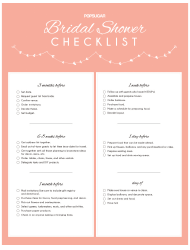 A bridal shower checklist is usually a list of items for the invitees to bring, but this one is merely a reminder. 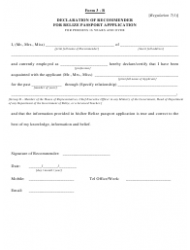 It starts with a do-not-forget checklist three months prior to the wedding and ends with the wedding day.